Amigoni, David ed., Life Writing and Victorian Culture, Aldershot: Ashgate, 2006. Barton, David and Nigel Hall (eds), Letter Writing as a Social Practice. Amsterdam: John Benjamin, 2000. Boos, Florence, “Under Physical Siege: Early Victorian Working-Class Women’s Autobiographies.” special issue of Philological Quarterly forthcoming. Booth, Alison. How to Make it as a Woman: Collective Biographical History from Victoria to the Present. Chicago: Chicago UP, 2004. Bunkers, Suzanne L. ‘Subjectivity and Self‑Reflexivity in the Study of Women’s Diaries as Autobiography’, A/B: Auto/Biography Studies 5:2 (1990): 114‑123. Dentith, Simon. ‘Contemporary Working-class Autobiography: Politics of Form, Politics of Content’, Prose Studies, 8:2 1985. Earle, Rebecca ed., Epistolary Selves, Letters and Letter-Writers, 1600-1945, Ashgate, Aldershot, 1999. Gagnier, Regenia. Subjectivities: A History of Self-Representation in Britain, 1832-1920. Oxford: Oxford University Press, 1991. Gagnier, Regenia. ‘The Literary Standard, Working Class Autobiography, and Gender.’ Revealing Lives: Autobiography, Biography and Gender. Eds. Susan Groag Bell and Marilyn Yalom. Albany NY: State University of New York Press, 1990, 115-30. Gerber, David A. ‘Acts of Deceiving and Withholding in Immigrant Letters: Personal Identity and Self‑Presentation in Personal Correspondence’, Journal of Social History, 39:2 (2005): 315‑30. Hewitt, Martin. ‘Diary, Autobiography and the Practice of Life History.’Life Writing and Victorian Culture. Ed. David Amigoni. Aldershot: Ashgate, 2006, 21-40. Jachimiak, Peter Hughes. “Tragedies, Thatcherism and ‘Thanking God’: A Welsh Grandmother’s Diaries and her Inscribing of Daily Life” Llafur 10.3 (2010) 185 – 212. Jones, Ben. “The Uses of Nostalgia: Autobiography, Community Publishing and Working-Class Neighbourhoods in Post-War England” Cultural and Social History – The Journal of the Social History Society 7.3 (2010) 355 – 374. DOI: 10.2752/147800410X12714191853346. Lejeune, Philippe. ‘How Do Diaries End?’ Biography, 241:1 2001, pp. 99-112. Lejeune, Philippe. On Autobiography, University of Minnesota Press, Minneapolis, 1989. Lynch, Claire. Irish Autobiography: Stories of Self in the Narrative of a Nation Basingstoke: Palgrave, 2009. Lyons, Martyn, “Working-class Autobiographers in 19th Century Europe: Some Franco-British Comparisons”, History of European Ideas 20 (1995): 235-41. Rowe, Stephen E. ‘Writing Modern Selves: Literacy and the French Working Class in the Early Nineteenth Century.’ Journal of Social History (Fall 2006): 55-6. Sherman, Stuart. ‘Diary and Autobiography’. The Cambridge History of English Literature. Ed. John Richetti. Cambridge: Cambridge UP, 2005. 649–72. Steedman, Carolyn. The Radical Soldier’s Tale: John Pearman, 1819-1908 (London: Routledge, 1988). Steedman, Carolyn. Past Tenses: Essays on Writing, Autobiography and History, Cambridge: Rivers Oram, 1992. Steedman, Carolyn. `Linguistic Encounters of the Fourth Kind.’ Journal of Victorian Culture 1:1 (1996), 54-75. Summerfield, Penny. ‘Culture and Composure: Creating Narratives of the Gendered Self in Oral History Interviews’, Cultural and Social History 1.1 (2004): 65‑93. Taylor, Charles. Sources of the Self. The Making of the Modern Identity, Harvard UP, Cambridge MASS, 1989. Vincent, David ed. Testaments of Radicalism. London: Europa, 1977. Vincent, David. 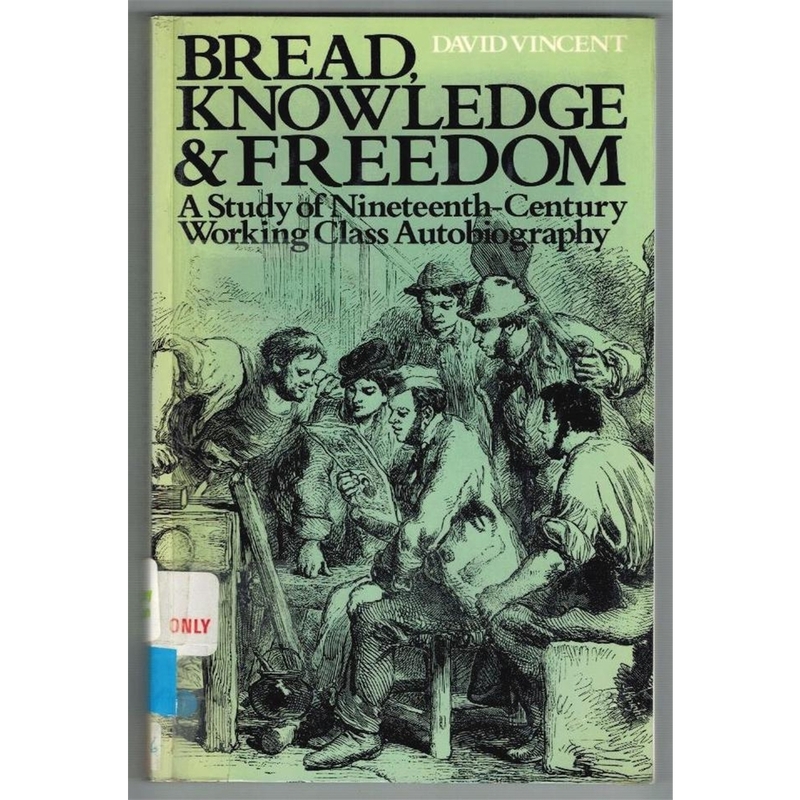 Bread, Knowledge and Freedom: A Study of Nineteenth-Century Working-Class Autobiography, London: Methuen, 1981. Waters, Chris. ‘Autobiography, Nostalgia, and the Changing Practices of Working‑class Selfhood.’ Singular Continuities: Tradition, Nostalgia, and Society in Modern Britain. Eds George K. Behlmer and Fred Marc Leventhal. Stanford CA: Stanford UP, 2000, 178‑95. Ying, Lee, Masculinity and the English Working Class: Studies in Victorian Autobiography and Fiction. London: Routledge, 2007.